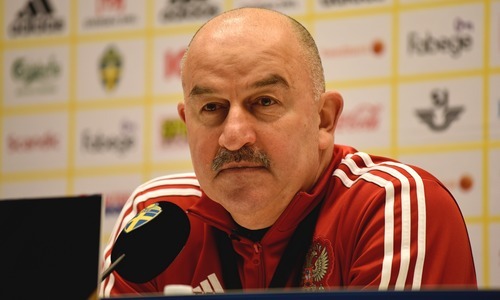 Russian national team coach Stanislav Cherchesov took questions from journalists on Monday the 19th of November ahead of UEFA Nations League match against Sweden. - A number of main team players suffered injuries lately and have to sit the match out. I am well aware that you don’t like the word ‘problems’ but what is it like building up a new team within such a tight time frame? - We have analysed the match against Germany, spoke with the squad and watched Sweden in action. We will watch them again as preparations continue. Players who will not be able to play have already left the squad. Otherwise, everything is on schedule. We have tried new player combinations and I hope that will help. - Who is going to be the goalkeeper? - We’ve been in contact all the time. There are various types of injuries. We knew from the start that Zobnin and Petrov would not be able to help us. The situation with Dzyuba was 50-50. Unfortunately, we were unable to have him undergo treatment in Germany as the medical device he needed was only available in Moscow. However, we kept contact and knew that we could call on him at any time. Dzyuba is preparing along with all other players. And there is still time left before the match. - It is considered that Sweden is a more uncomfortable opponent for Russia than Turkey. Why? - We played against Sweden in Kaliningrad and that was an even match. Of course, there are some differences. Turkey stakes more on individual play while Sweden is better at team play. These are two different national teams of more or less the same level. Another difference is that Swedes are more stable when it comes to tactics, game organization and performance level. Turks are more mood-dependent. - There are still many tickets unsold. Is this an advantage for Russia? - Well, this is not our business. We had a full house in Kaliningrad. Are there going to be 20 thousand spectators? Well, there is still a whole day ahead and more tickets can sell. - Do you think it is necessary to close the stadium roof? - The weather is quite comfortable. UEFA reps asked me about the stadium roof and I said that it did not matter for us. So it is up to event organizers to decide. - One point is sufficient for Russia to win the group. Will a draw suit you? - Yes, it will. We can count the points well. But still, we are victory-oriented and never aim at a goalless draw.